The principles of modern short-range climate forecasting are straightforward. The atmosphere works on many spatial and temporal scales, the shortest of which only possess predictability out for a limited time period provided the current state of the system is adequately known. For synoptic scales, those associated with local day-today weather variations, this translates to predictability for no more than a few days, given rigorous observation of the state of the atmosphere around the globe. But underlying the atmosphere are the continents and oceans, surface conditions across which change only relatively slowly. Transfers of heat and momentum between these underlying surfaces and the atmosphere can, in appropriate circumstances, act as a slowly varying regulator for the atmosphere, providing a memory which limits the range of weather in affected areas, thus creating a predominant climate anomaly over a period of a season or more. The best-known example of boundary layer changes forcing climate anomalies on scales up to the global is the El Niño/Southern Oscillation (ENSO),2 of which Walker's work uncovered only part of the atmospheric component. Many texts outline the dynamics of ENSO,3 and here it may suffice that when cold water upwelling off the equatorial west coast of South America is replaced by warmer waters from the west, then an El Niño occurs. At the same time the mass of tropical convection that is typically found in the South-East Asian/Indonesian region migrates into the central tropical Pacific Ocean, close to the date line, bringing drier conditions in the west and heavy rainfall to normally-dry islands. There is close linking between the change in sea surface temperatures, the location of the equatorial convective mass, and the changes referred to as the Southern Oscillation by Walker. Other changes in the global circulation accompany the movement of the equatorial convective mass (Glantz et al., 1991), which is the atmosphere's main heat source, and impacts on temperatures and rainfall occur over a season or more as a consequence in regions across, around and remote from the Pacific basin. Sea surface temperature variations in other tropical oceans additionally affect countries around those basins (e.g. Hastenrath, 1991), although these influences appear to be less spatially extensive than those related to the Pacific and as well act predominantly on decadal time scales (Latif and Barnett, 1994). Mid and high latitude oceanic changes have lesser seasonal scale impacts than those in the tropics (e.g. Rodwell and Folland, 2002). Evidence is growing that changes in land surface conditions, particular the soil moisture content, can also affect atmospheric circulation on seasonal time scales.4 Perhaps the best known example relates to the Indian monsoon, changes in which are linked to soil moisture deficits in the Himalayan region resulting from melt of winter snowfall (Ferranti and Molteni, 1999). Seasonal to interannual prediction in general presently uses knowledge of sea surface temperature variations on which to base a forecast of temperature and rainfall conditions in teleconnected parts of the globe. Several prediction approaches are possible. Relationships between recent sea surface temperature anomalies and future climate conditions may be estimated empirically using historical data. 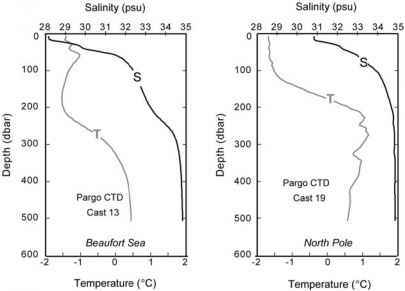 Alternatively current sea surface temperature conditions may be persisted into the future as a proxy prediction, or future anomalies themselves predicted using empirical or dynamical methods, and in either case concurrent or additional dynamical methods then used to make the required climate prediction. Other predictors are used at times, such as the Himalayan snow cover mentioned above or various proxy indicators, but the principles remain the same and the focus in the remainder of this paper will stay with the oceanic anomalies. A complete review of all types of models used in prediction is beyond the scope of this paper,5 but these may be divided into two main groups. Empirical models are developed using historical data and attempt to represent statistical links between one or more predictors, usually sea surface temperature anomalies averaged across specific regions, and rainfall or temperature anomalies across the area of concern. Typically linear regression is used to derive the associations, but other methods have been employed. Computer-based dynamical models of the ocean and/or atmosphere, often similar to, or even the same as, the models used for weather or climate change prediction, form the other group. In between are a number of approaches that use simplified statistical or statistical/dynamical models for one of the components, either the atmosphere or the ocean. Fledgling coupled models of both the atmosphere and the ocean, recently introduced into operational short-period climate forecasting at a small number of leading centres, represent the most technically advanced approach. In all cases the objective is to produce a prediction of the average climatic conditions throughout a season across a region measuring several hundred kilometres along each side (Goddard et al., 2001). In general the main predictands of concern to applications are rainfall and temperature, although others, such as numbers of tropical storms and start/end dates of rainfall seasons, have also been attempted. This is such an extensive area of activity that the focus in this paper will be on rainfall prediction, the central concern of agriculture and many other activities including energy conservation, water and fire management. Rainfall is a natural predictand for seasonal forecasts, as it is the changes in oceanic rainfall, forced by modified sea surface temperatures, that result in adjustments to the atmospheric circulation that lead to the variations in rainfall over the continents.6 Nevertheless rainfall is variable in both space and time and many applications are more sensitive to the timing and amounts of rainfall through a season than they are to the total amount. For this reason users of seasonal forecasts have often requested both more temporal and spatial detail in predictions than is available directly from the global models. These requests, for example, have driven attempts over a number of years to predict local start dates of rainfall seasons using empirical techniques. However the modern approach to obtaining increased detail of information is to use regional climate models (RCMs) (Goddard et al., 2001). RCMs are the higher resolution brothers of the global atmospheric models. Covering areas perhaps the size of Europe, and using controlling information from runs of global models, RCMs provide more detail on both temporal and, particularly, spatial scales than is available from the global models themselves. In particular RCMs have the more detailed underlying topography and so in principle can provide information on rainfall differences associated with mountains and valleys, although it must be noted that development of these models is at an early stage and the practical utility of the information produced remains to be demonstrated.